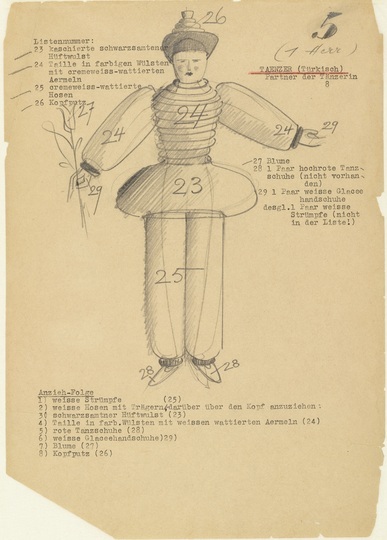 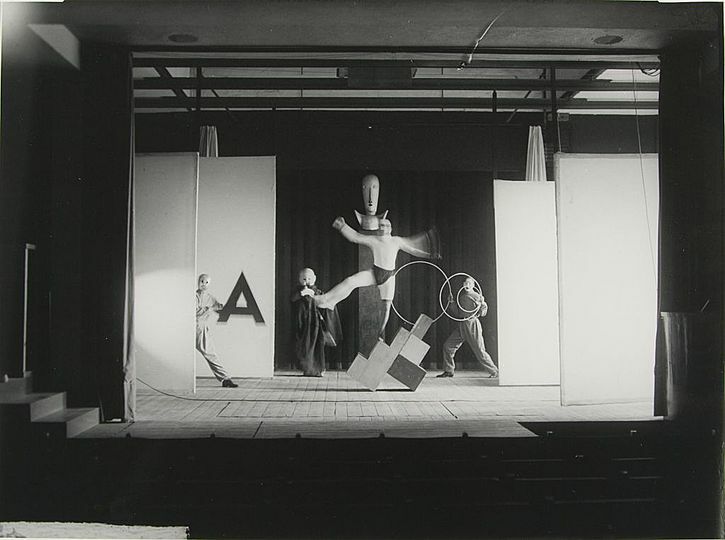 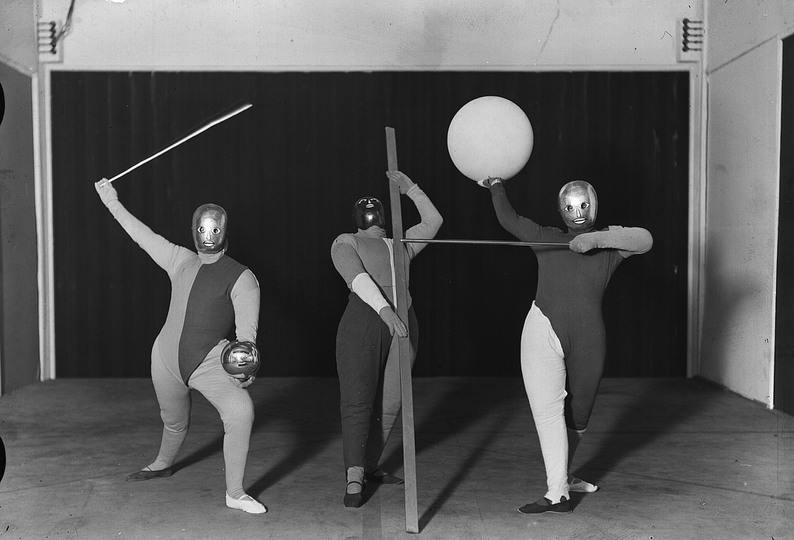 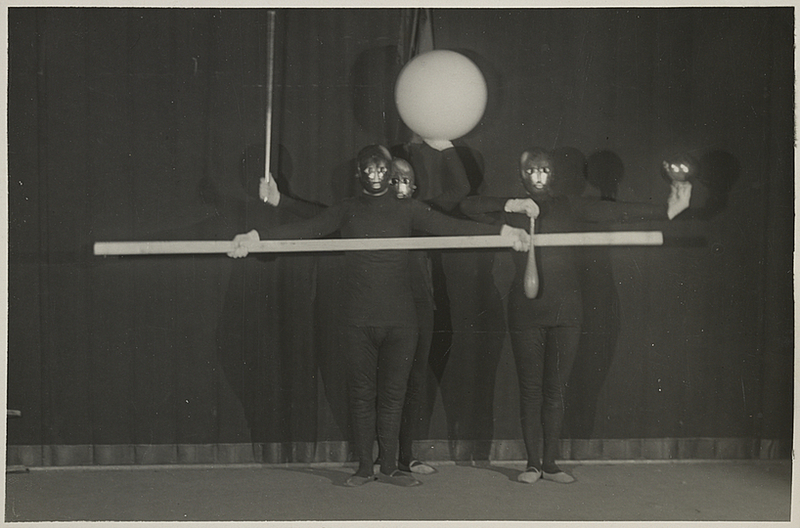 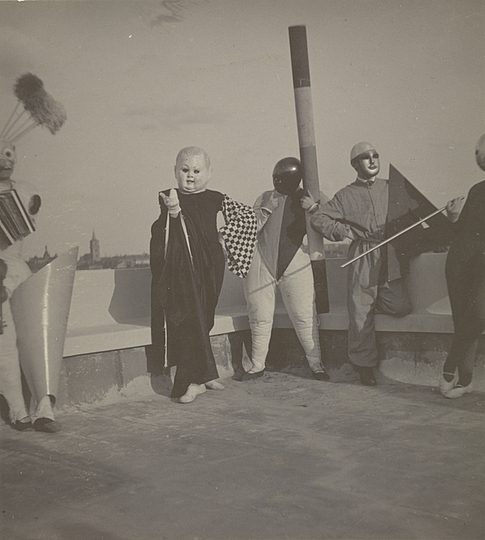 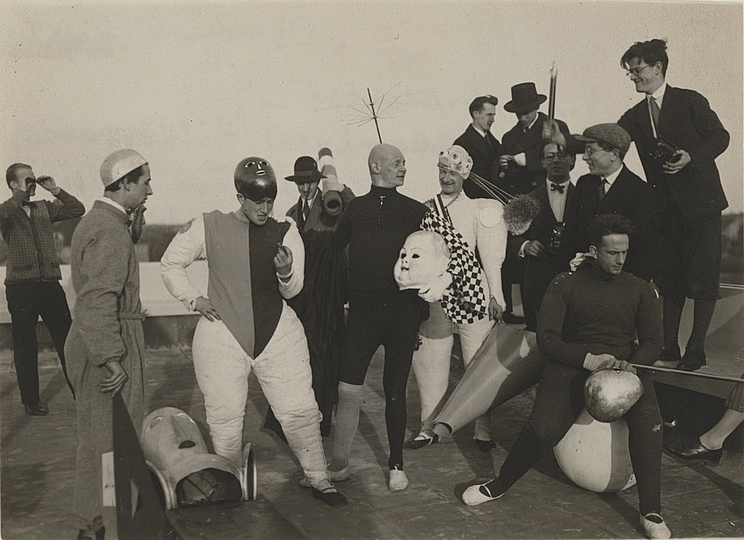 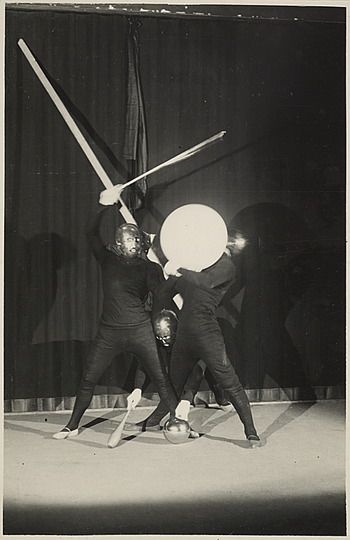 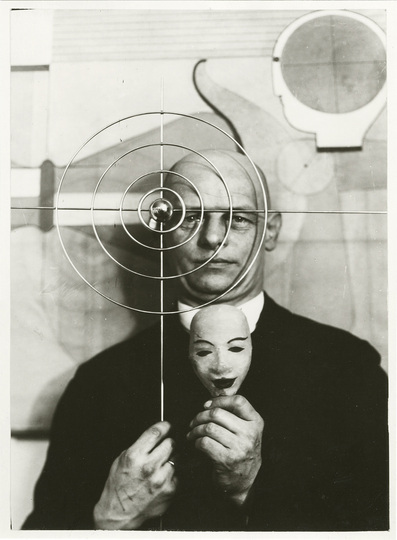 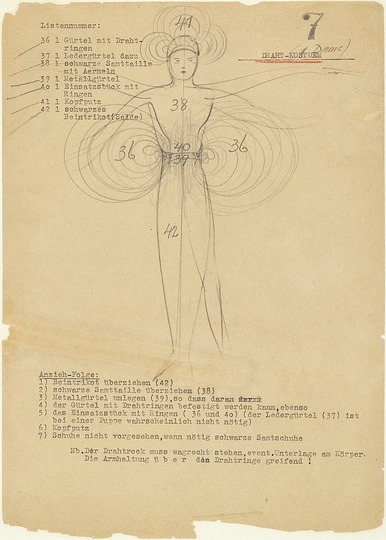 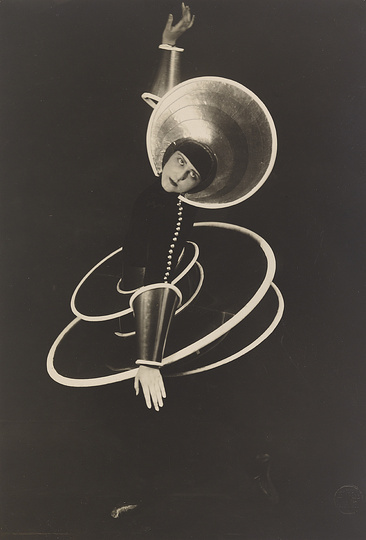 After Walter Gropius founded the stage workshop in 1921, Oskar Schlemmer, the head of the stage workshop, pressed forward with stage experiments under the influence of László Moholy-Nagy. 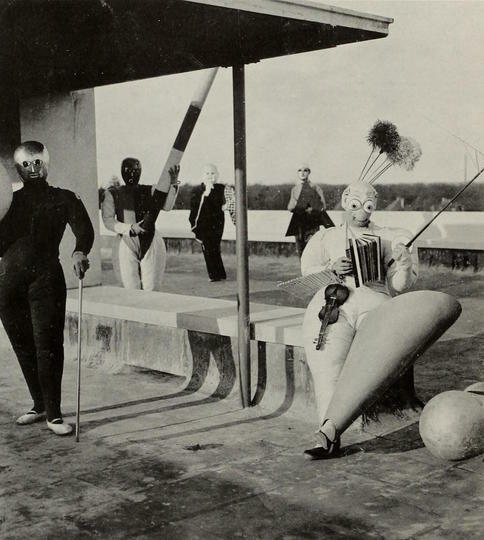 While the architect Gropius saw stage work as “inwardly related to the work of architecture as an orchestral unity”, Schlemmer and Moholy-Nagy focussed instead on the connection between man and technology as the guarantor for the design of the “New Man”. 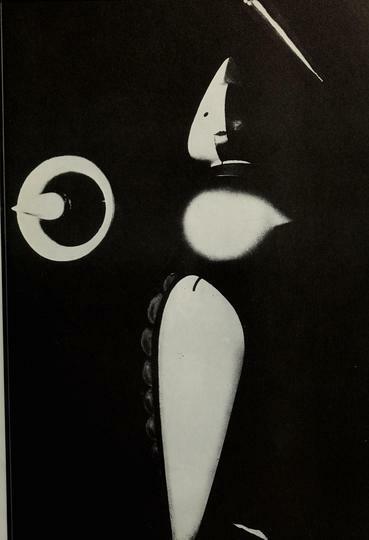 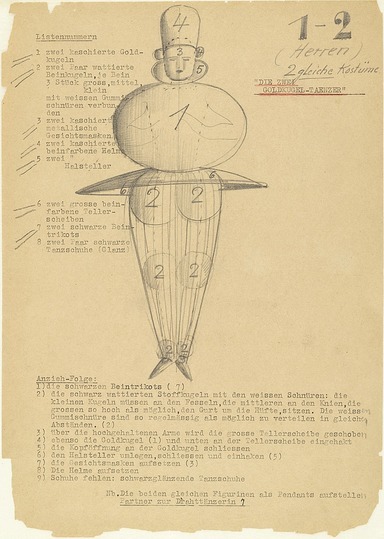 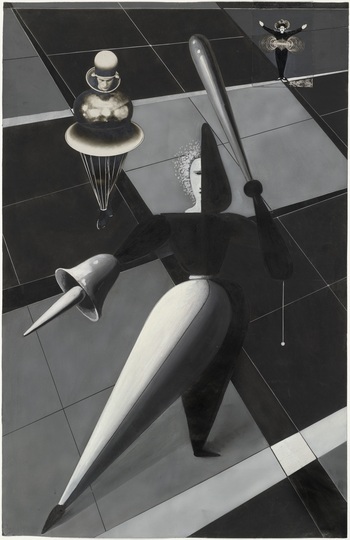 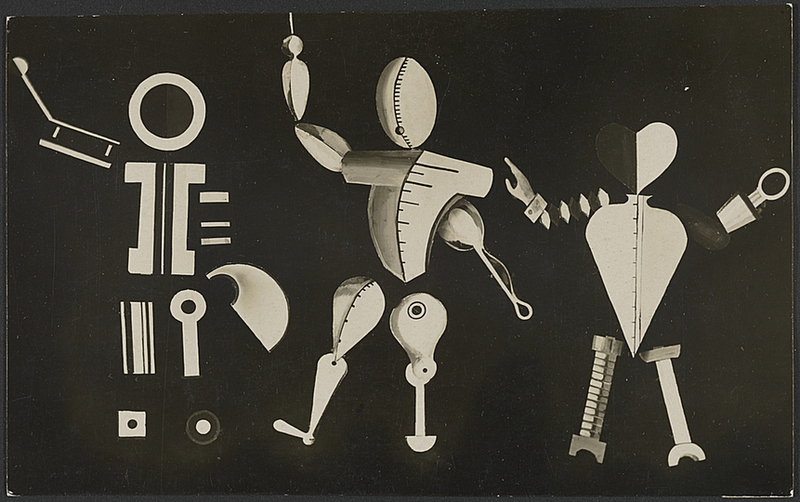 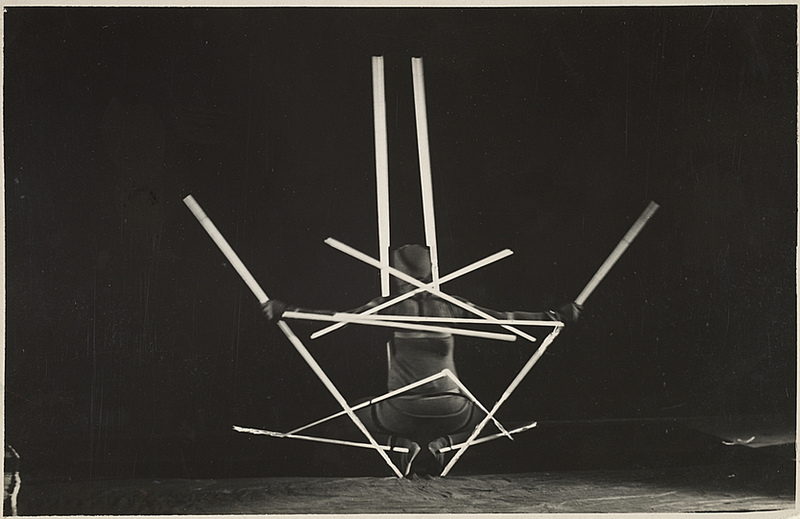 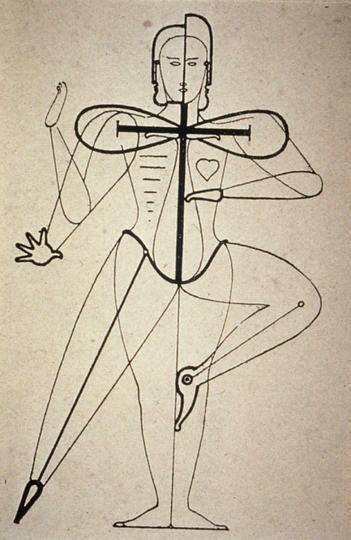 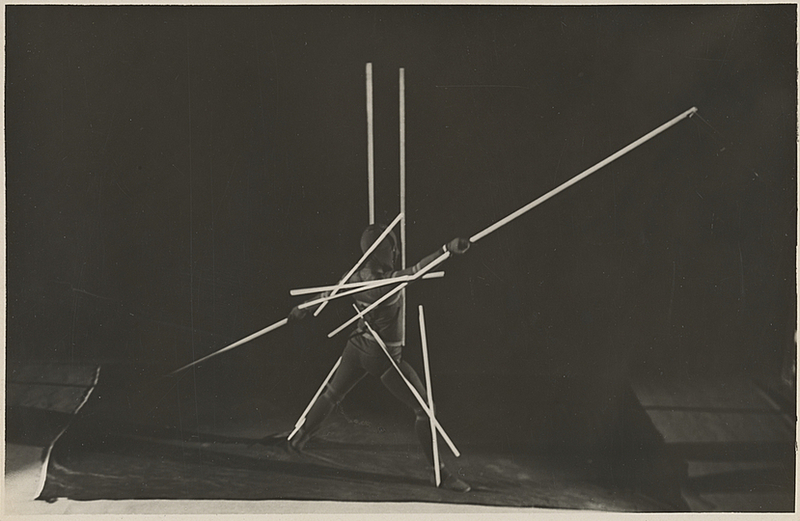 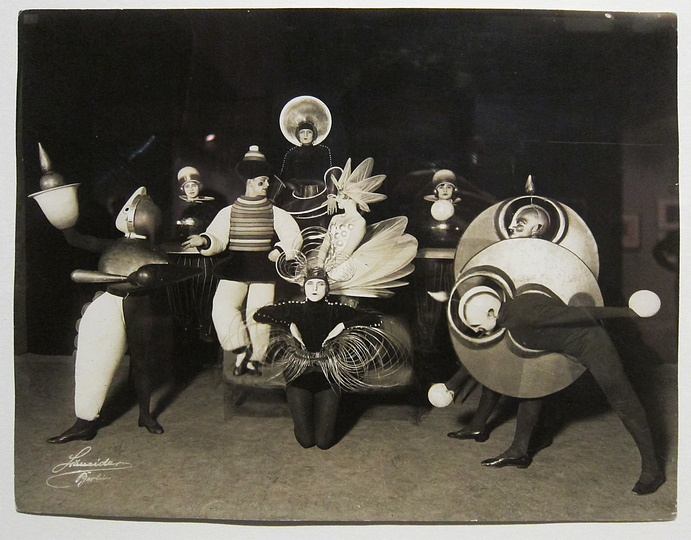 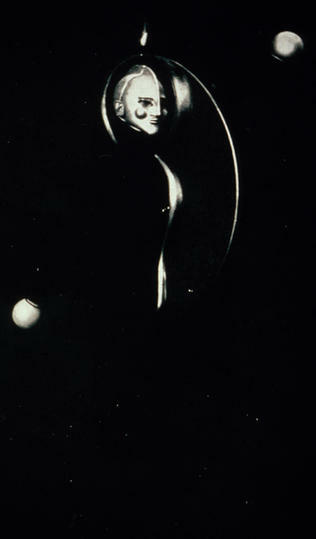 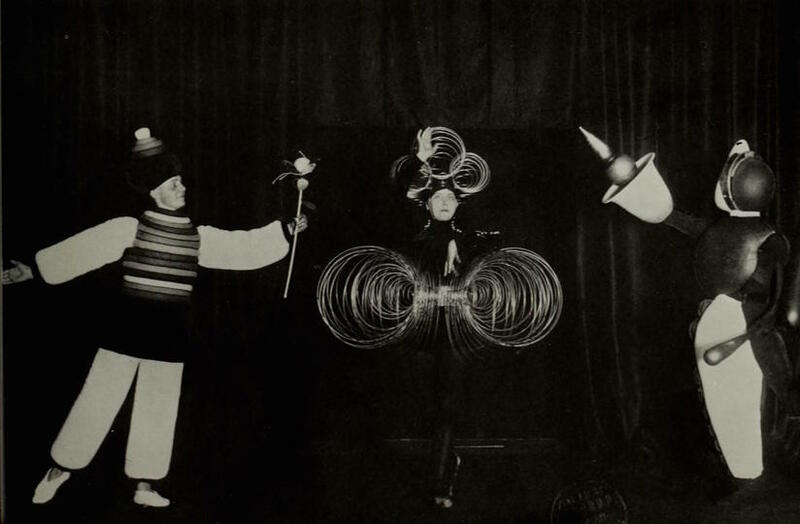 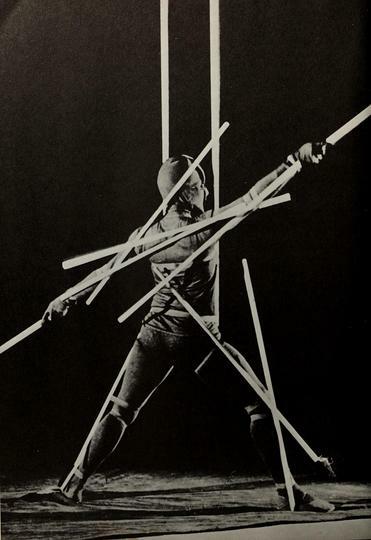 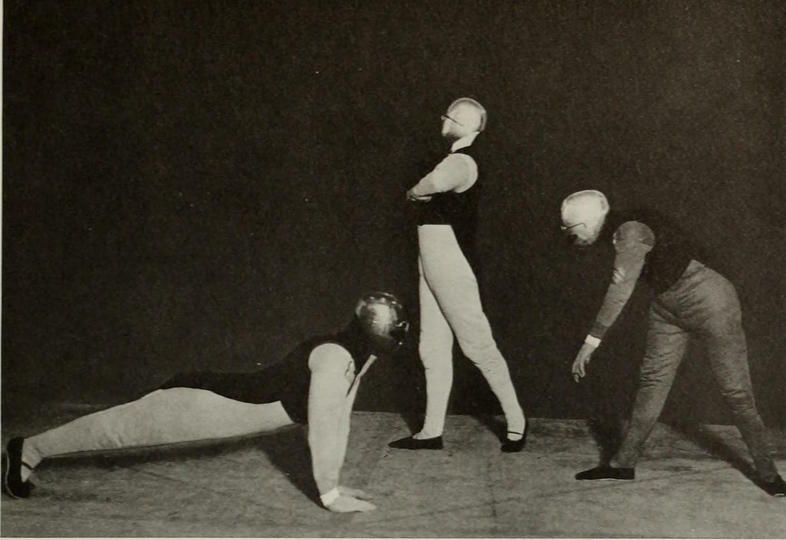 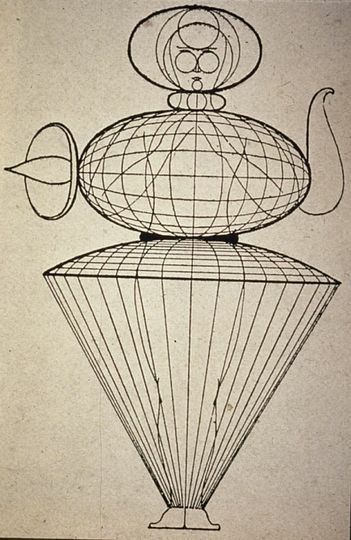 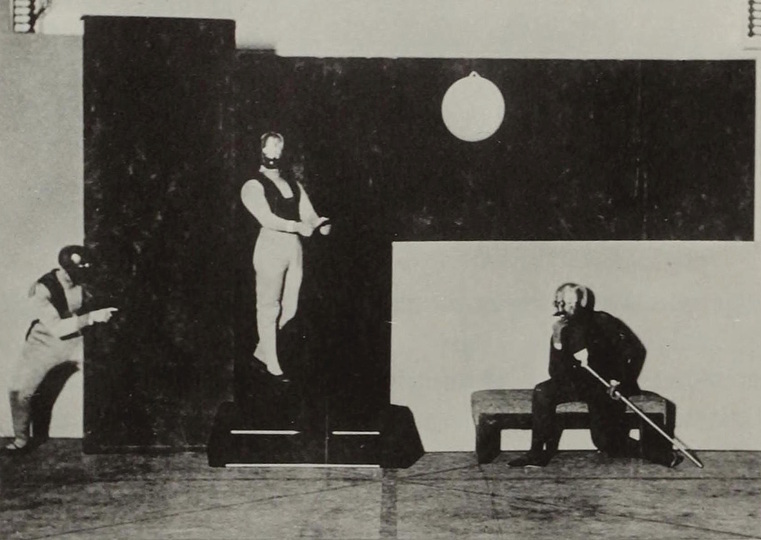 Schlemmer saw theatrical dance as the “starting-point of renewal”, through which not only the corporeal technique of dance would be put at the service of man but also “the lamentations over mechanization” supplanted by “joy in precision”; and Moholy-Nagy spoke similarly of the “good understanding of the machine” as the foundation of a new “organization of form and movement”. 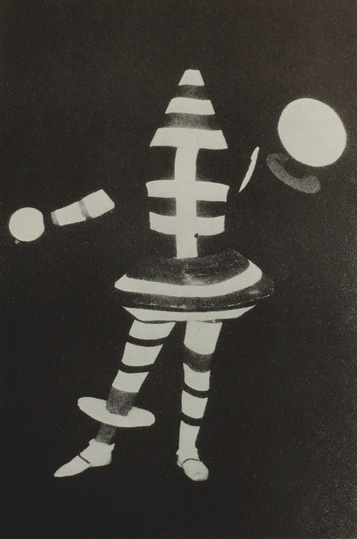 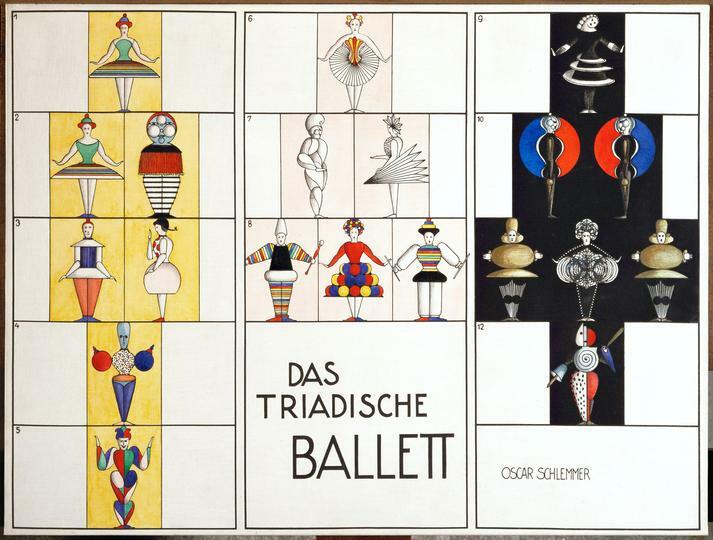 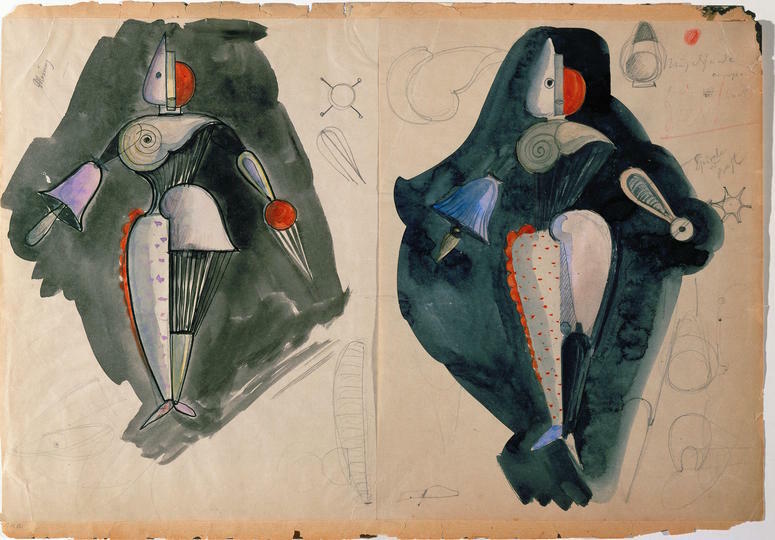 Oskar Schlemmer’s Triadic Ballet, first performed in 1922 in Stuttgart, is certainly one of best-known and most striking examples of the aesthetics of a new stage understanding influenced by Bauhaus teachers and students that aimed at bringing man and machine together. 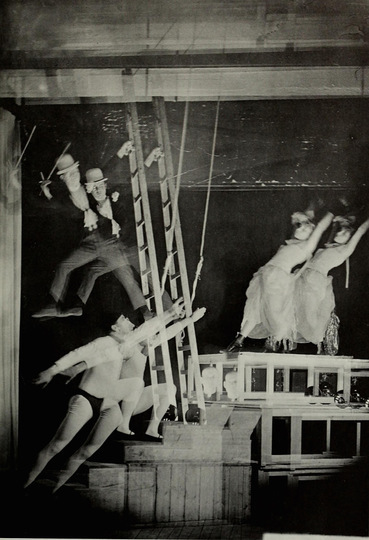 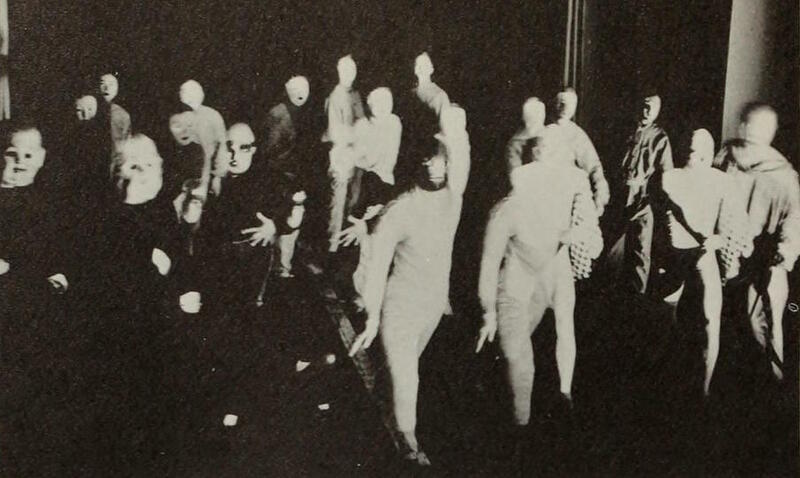 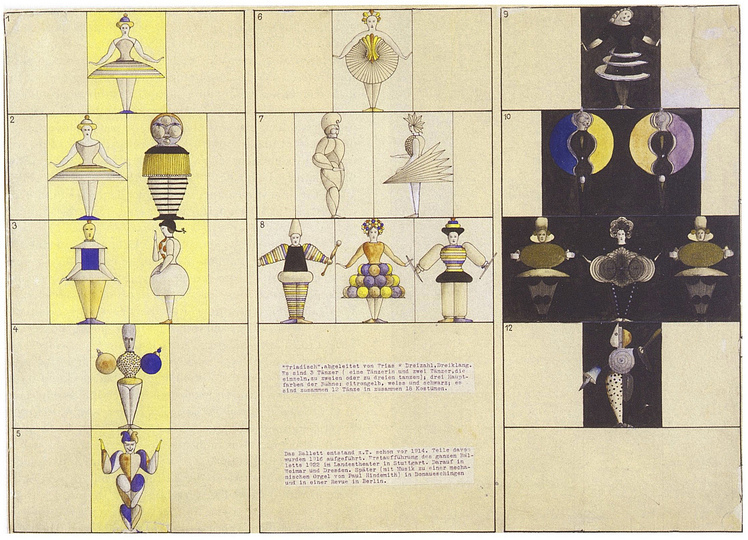 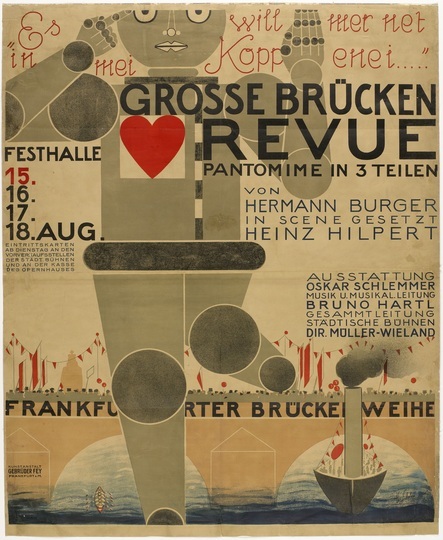 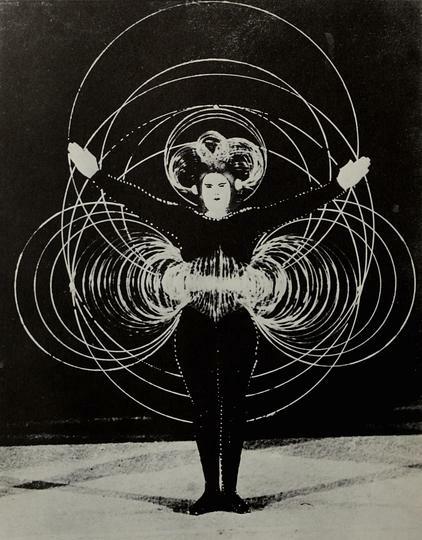 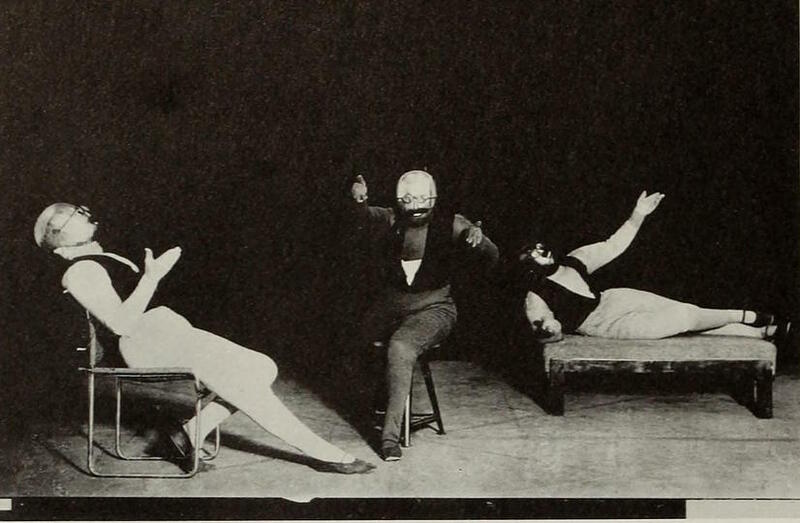 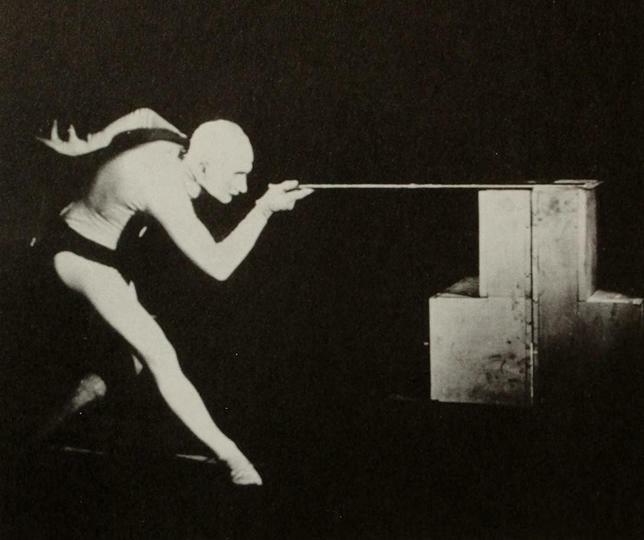 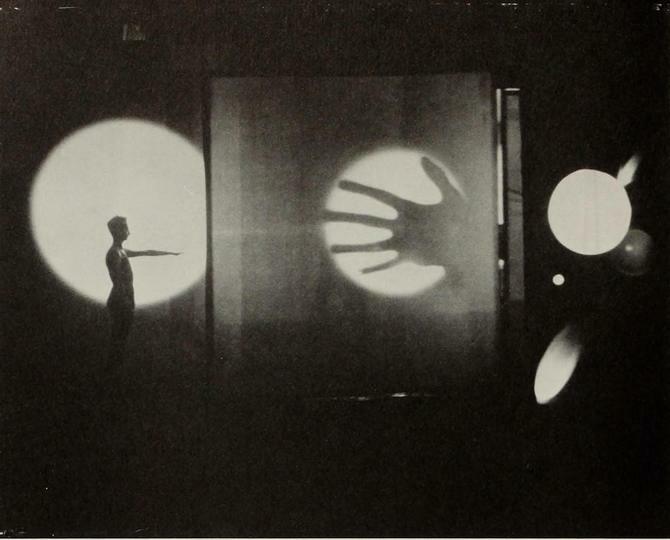 The idea of presenting human beings on stage as adaptations of machines (as in Schlemmer’s Triadic Ballet) soon encountered the more radical concept of a quasi-mechanical stage on which there are only forms, colours, light, sound and movement (as in Kurt Schmidt’s Mechanical Ballet from 1923). 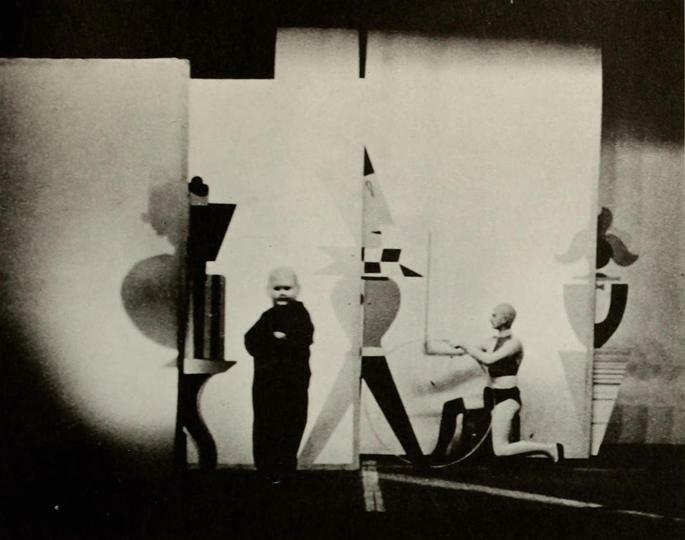 Walter Gropius’s Totaltheater transforms the stage during the entire performance into an architectural machine whose constant changing makes the viewer an actor in the events. 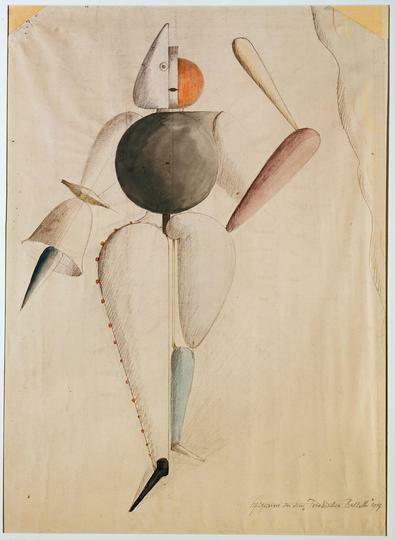 Schlemmer saw the modern world driven by two main currents, the mechanised (man as machine and the body as a mechanism) and the primordial impulses (the depths of creative urges). 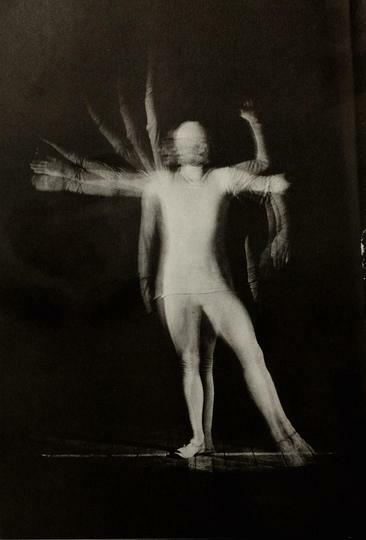 He claimed that the choreographed geometry of dance offered a synthesis, the Dionysian and emotional origins of dance, becomes strict and Apollonian in its final form.